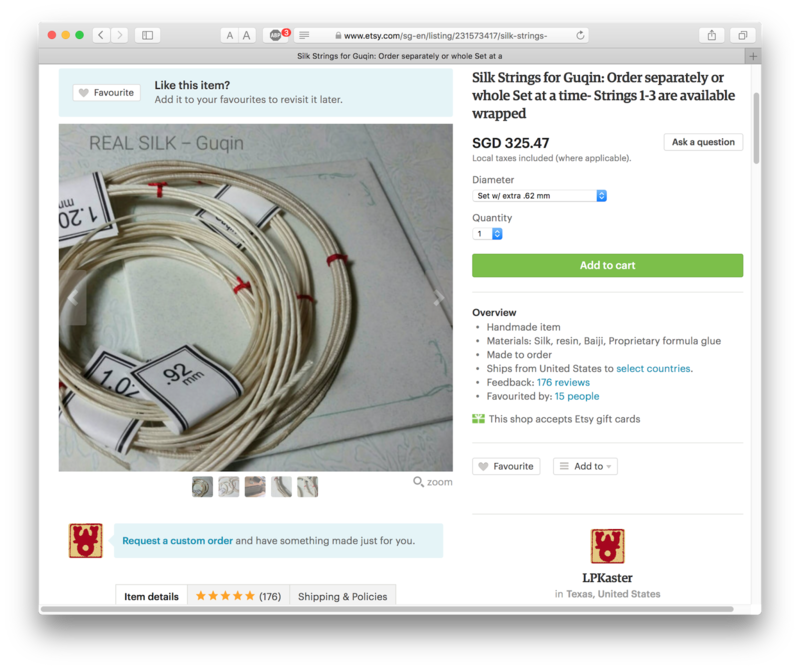 According to Mr Kaster (posted in Facebook on the Guqin forum), "I am the only Silk string maker who welcomes Custom orders. I can do this because I work in small batches and have enough experience to suggest options for many other instruments." Hello! I chanced upon your page while looking for guqin classes in Singapore. Would you know any places that conduct lessons for children? My 9-year-old daughter is very keen to learn. I am however finding it almost impossible to find a teacher here. If you could recommend someone, please send me an email at llj.caroline@gmail.com. I would be so grateful. Thank you!